The smallest gaming controller for iOS and Android phones and tablets, will always be at hand. 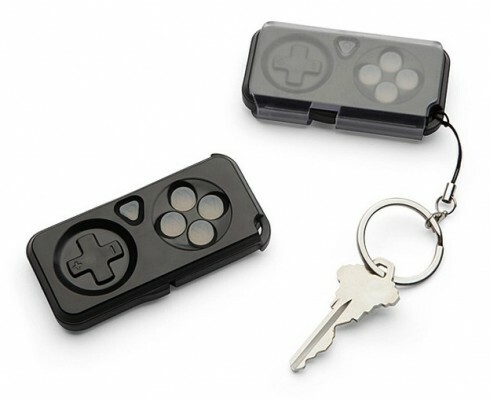 To all gamers, which are mad when they are easy prey in multiplayer shooters type like Shadowgun: Dead Zone or Modern Combat 4: Zero Hour that they play on smartphones and tablets, and in their hands don’t have Bluetooth gamepad, in help arrives impulse, small game controller for Android and iOS devices, which you can always carry with you as a keychain, and use it when the need arises. This little gadget costs $ 39.99, and in addition to playing, you can use it as a remote control for the media player, or for photo / video recording. The device connects to phones and tablets via Bluetooth, and every button on it has a backlight that will facilitate playing in the greatest darkness, while rechargeable battery should provide you up to 9 hours of continuous play.